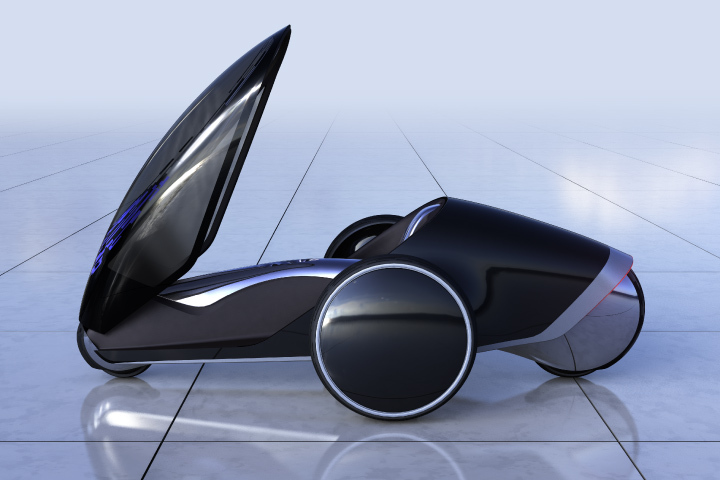 A driver stands on the Toyota FV2 Concept. This terrifying concept (and let’s thank God it’s just a concept for now) stands only 90 centimeters high when “parked,” but like a Transformer from hell, the Toyota FV2 Concept seems to come alive as it opens up, becoming a seat-less motorcycle ready to rock and roll. The Toyota FV2 Concept’s windshield is an augmented reality display. As frightening a death trap as this monster seems, it would be, in all actuality, quite harmless as a production vehicle—and okay, yes, I may be tempted to try it out sometime. (But I won’t enjoy it; you can’t make me.) The thing is geared for safety, after all. With four wheels, the driver’s weight is distributed evenly: there is one wheel in the front, two in the center, and one in the rear, in a cross layout. 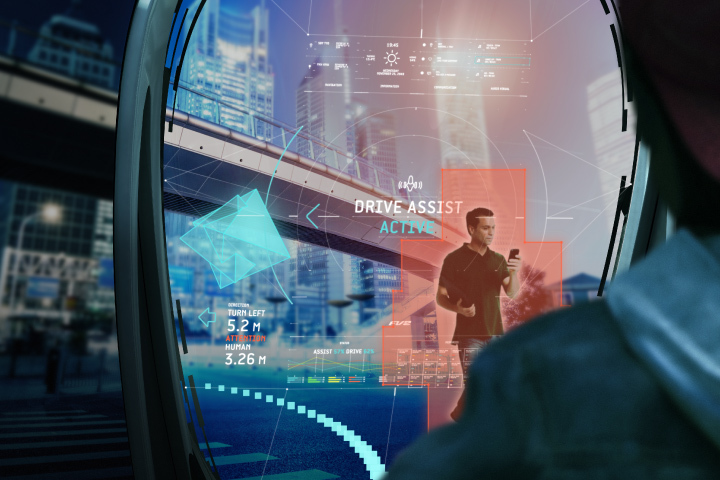 Not only that, but the Toyota FV2 Concept actually has a pretty neat augmented reality display on the windshield, the purpose of which is to make oncoming objects specific colors to notify the driver of their presence. 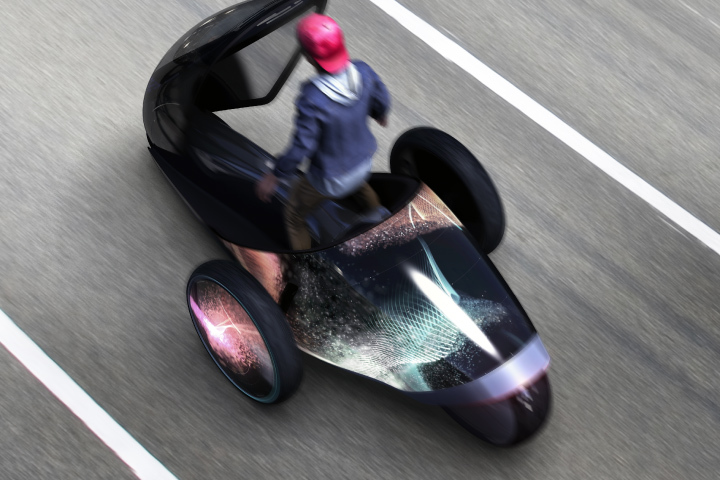 How this is done, I don’t know—we are talking about a concept car for the future, after all. Other nifty features include the light up displays on the middle wheels that will cycle through varying colors and distinct patterns. But that’s not all you can customize. Via touchscreen displays, you can also cycle through custom paint jobs. No, I’m serious. Toyota lets you decide the color of the vehicle with the press of an on-screen button. So I’ll leave it up to you. Horrifying motorcycle owned by Satan himself, or fun and innovative Segway of the future? Several Toyota FV2 Concept vehicles take to the road.